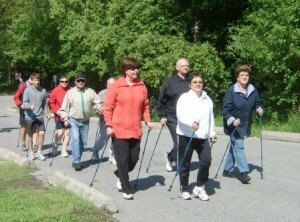 Try Nordic style pole walking to see if you like it. 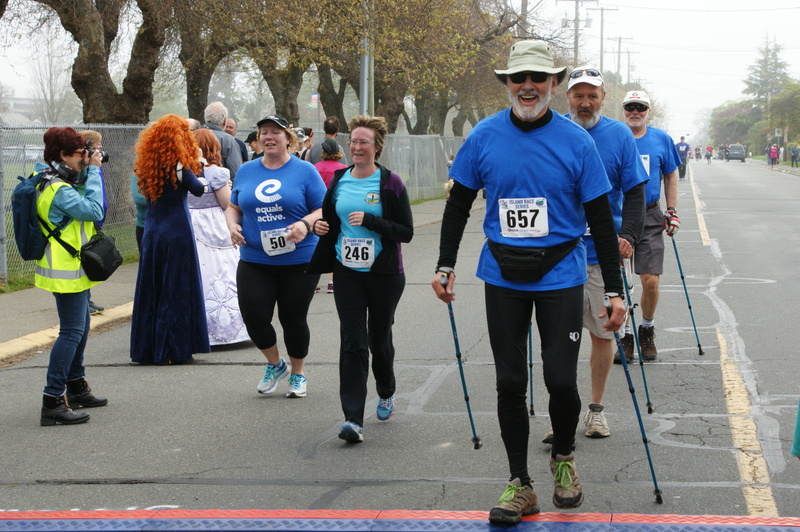 Learn the 4 basic steps of Nordic style pole walking so that you can carry on. 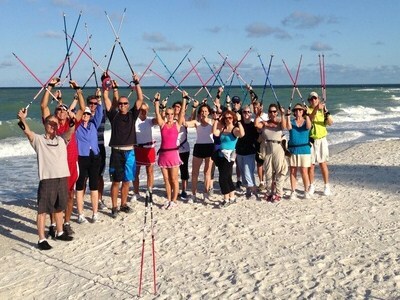 Understand how Nordic pole walking impacts 90% of your muscles in a do-able, addictive way. Understand why TECHNIQUE MATTERS and why the right poles make a difference! This group lesson is up to 10 people. Everyone can borrow poles for the lesson, and if desired buy the good NORDIXX “traveler” poles at the end of the lesson ($91 includes tax). After taking this class, you can take other courses offered by me, and/or join one of the many neighbourhood pole walking clubs in our town. 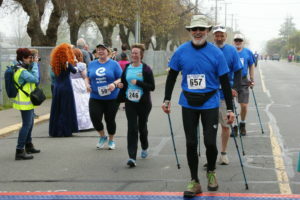 Of course you can get out on your own and pole walk for fitness; the (minimum) prescription for health is to pole walk 3 times a week for 30 minutes. 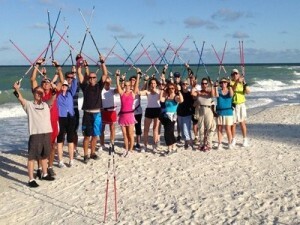 Nordic style pole walking feels so good, you won’t want to stop! 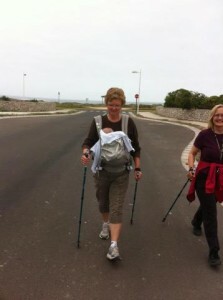 Realistically, it takes about 4 sessions to really get the hang of the NORDIC style of pole walking. You can take a subsequent SKILL or FITNESS courses or repeat the LEARN lesson as many times as you wish. Once learned properly, this skill will serve you the rest of your life! NOTE: YOU MUST PRE-REGISTER FOR EVERY LEARN CLASS! You can click on the button on this site to register and pay by PayPal, VISA, or MASTERCARD. pole walking on hard sand!